Exceptional in every way! 8 Champion banners and ALL as a juvenile! What else do we need to say? 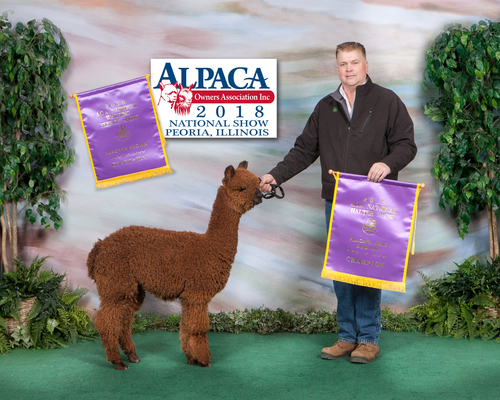 Update: Irish Meadows' Reputation is up to something like 18 champion banners and several Judges Choice ribbons. 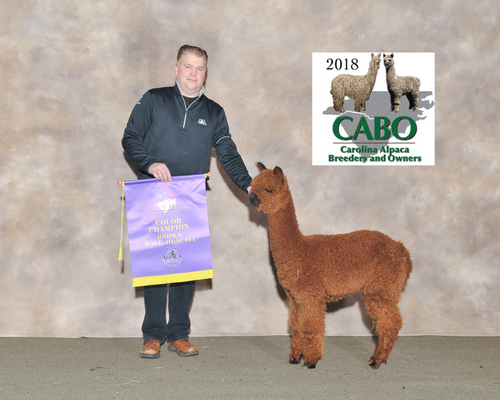 He would have earned many more Judges Choice banners but he was competing against our 28 time champion Elite Max at every show............and it is hard for a dark brown to compete against a white/beige.